Facebook's privacy rollback is especially terrible because it's so hard to reverse. Settings are so bewildering that even CEO Mark Zuckeberg has fiddled his two-to-three times this month. So here's a guide to re-privatizing your profile. 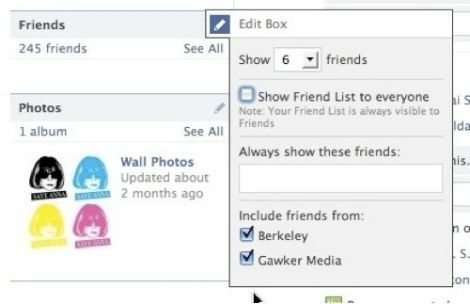 Ideally, we'd all be allowed to just accept Facebook's recommended settings. But the social network is defaulting most people to share their private content widely with strangers, in an obvious bid to grow traffic and to compete more directly with Twitter. Then there's the content the company is trying to take from you and make entirely public. And, to borrow a phrase, what can't be attributed to Facebook's greed can be chalked up to ineptitude. Highly complex privacy schemes are bound to fail, as others have written, because most users don't have the patience to sit and learn intricate details of various options. That would seemingly include Facebook co-founder Zuckerberg, who initially accepted the default options, according to published reports. 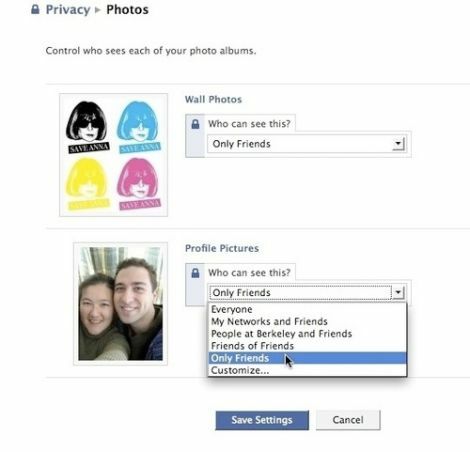 But he soon altered these defaults to make them more private, hiding his photos from friends of friends. Hide your photos (as much as possible). 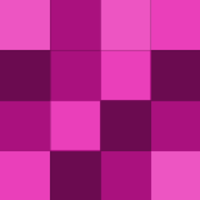 Most people don't seem to realize their old profile photos and albums are available to strangers The profile photos usually default to being shared widely, e.g. to "Everyone," while the photo albums are often only slightly more restricted, e.g. "Friends of Friends." If someone "tags" one of their Facebook photos with your profile, it can show up on your profile. If you don't want strangers (including "Friends of friends") to get to conveniently peruse these often candid shots from your profile, go to Settings/Privacy Settings, then "Profile Information" and adjust "Photos and Videos of me." We'd recommend "Only friends:"
UPDATE 1: To clarify, you can never remove pictures in which you are tagged from other people's accounts, as we implied before. But by removing them from your profile, you make it a lot harder for strangers to find pictures of you that you might not want them to see. 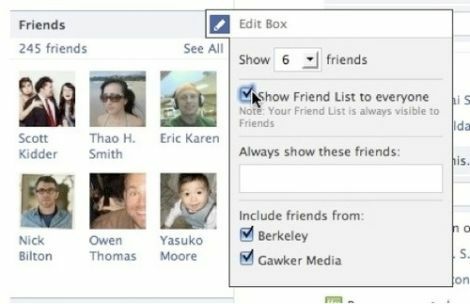 It's insane that Facebook recommended that many people share their birthday with "Friends of friends" in its defaults for the new "privacy" scheme. This personal information can be used by financial fraudsters to help impersonate you to your bank, credit card company, email provider and others. We'd recommend showing it to as few people as possible. Or, even better, set it to a false date. In any case, it's definitely possible to make your friends list harder for strangers to view, by removing it from your profile. Go to your Facebook home page, then click on "Profile" in the top right corner to view your profile. UPDATE: We're getting "corrections" on this telling us exactly what we already said above, so we'll repeat it in bold: this does not completely shield your friends list. Friends of friends can reportedly still see it, for example, and as we said above Facebook considers it public information. 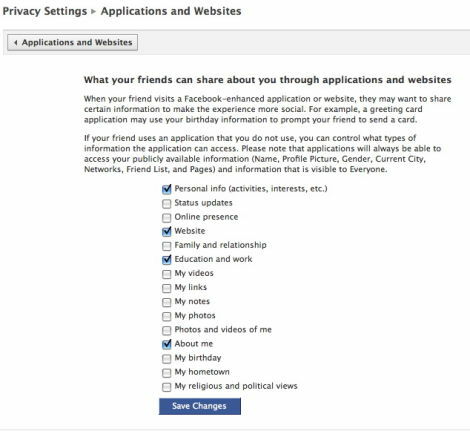 Go to Settings/Privacy Settings, then "Applications and Websites," then "What your friends can share about you - Edit Settings:"
Did we forget or mis-state something? Email us and let us know; tips@gakwer.com.